In October 2012 KBS Hall in Seoul hosted major international music festivals – First ABU TV and Radio Song Festivals within frameworks of Asia-Pacific Broadcasting Union 49th General Assembly. Hi! Seoul Festival is a seasonal cultural festival held four times a year every spring, summer, autumn, and winter in Seoul, South Korea since 2003. It is based on the "Seoul Citizens' Day" held on every October since 1994 to commemorate the 600 years history of Seoul as the capital of the country. The festival is arranged under the Seoul Metropolitan Government. As of 2012[update], Seoul has hosted Ultra Music Festival Korea, an annual dance music festival that takes place on the 2nd weekend of June. ^ a b "Seoul Statistics (Land Area)". Seoul Metropolitan Government. Retrieved March 24, 2010. ^ "Seoul's symbols". Seoul Metropolitan Government. Archived from the original on August 19, 2016. Retrieved August 3, 2016. ^ "Top 10 Wealthiest Cities of the World by GDP - WeAreTop10.com". wearetop10.com. Retrieved November 18, 2018. ^ "Local Info & Tourism". SDSS-IV SEOUL 2018. Retrieved November 18, 2018. ^ "Price Rankings by City of Price per Square Meter to Buy Apartment in City Centre (Buy Apartment Price)". www.numbeo.com. Retrieved October 30, 2018. ^ "Tech capitals of the world – Technology". Melbourne: theage.com.au. June 15, 2009. Retrieved August 7, 2013. ^ "Seoul". Encyclopædia Britannica. 2009. Retrieved September 6, 2009. The city was popularly called Seoul in Korean during both the Chosŏn (Yi) dynasty (1392–1910) and the period of Japanese rule (1910–45), although the official names in those periods were Hansŏng (Hanseong) and Kyŏngsŏng (Gyeongseong), respectively. ^ 서울특별시표기 首爾로...중국, 곧 정식 사용키로 :: 네이버 뉴스 (in Korean). News.naver.com. October 23, 2005. Retrieved February 10, 2012. ^ "'Seoul' morphs into Chinese 'Shouer'". Chinadaily.com.cn. January 20, 2005. Retrieved February 10, 2012. ^ Characters, Good. "Chinese Naming Crisis Danger Opportunity Summer 2006 – Good Characters". goodcharacters.com. Retrieved November 18, 2018. ^ a b c d e f g h "Seoul". Encyclopædia Britannica. Retrieved February 7, 2014. ^ a b "Pungnap-toseong (Earthen Ramparts)". Seoul Metropolitan Government. Archived from the original on February 22, 2014. Retrieved February 7, 2014. ^ "Bugaksan Mountain". Korea Tourism Organization. Retrieved February 7, 2014. ^ "Seoul City Wall". UNESCO. Retrieved February 7, 2014. ^ "Bosingak Belfry". Korea Tourism Organization. Retrieved February 7, 2014. ^ Nam Moon Hyon. "Early History of Electrical Engineering in Korea: Edison and First Electric Lighting in the Kingdom of Corea" (PDF). Promoting the History of EE Jan 23–26, 2000. Institute of Electrical and Electronics Engineers. Retrieved February 7, 2014. ^ "Urban Planning of Seoul" (PDF). Seoul Metropolitan Government. 2009. Retrieved February 7, 2014. ^ "Facts about Korea". Korea.net. Retrieved February 7, 2014. ^ "GLOBAL 500". CNN Money. July 23, 2012. Retrieved February 7, 2014. ^ "Brief History of Hangang (River)". Seoul Metropolitan Government. Archived from the original on October 31, 2016. Retrieved February 7, 2014. ^ Lee, Sang-Hyun; Baik, Jong-Jin (March 1, 2010). "Statistical and dynamical characteristics of the urban heat island intensity in Seoul". Theoretical and Applied Climatology. 100: 227–237. doi:10.1007/s00704-009-0247-1. ^ "Seoul Itinerary 5 Days | What To Do, Eat, See In Seoul | Be Marie Korea". Be Marie Korea. September 12, 2018. Retrieved November 18, 2018. ^ 기후자료 극값(최대값) 전체년도 일최고기온 (℃) 최고순위, 서울(108). Korea Meteorological Administration. Retrieved August 18, 2013. ^ 기후자료 극값(최대값) 전체년도 일최저기온 (℃) 최고순위, 서울(108). 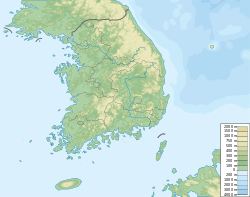 Korea Meteorological Administration. Retrieved August 18, 2013. ^ "Climatological Normals of Korea" (PDF). Korea Meteorological Administration. 2011. p. 499 and 649. Archived from the original (PDF) on December 7, 2016. Retrieved December 8, 2016. ^ "South Korea | Environmental Performance Index – Development". epi.yale.edu. Archived from the original on May 7, 2017. Retrieved May 4, 2017. ^ Zastrow, Mark (May 6, 2016). "NASA jet gets a sniff of pollution over South Korea". Nature. doi:10.1038/nature.2016.19875. ^ a b "Administrative Districts". Seoul Metropolitan Government. Archived from the original on August 10, 2011. Retrieved February 8, 2014. ^ "Regional population density: Asia and Oceania, 2012: Inhabitants per square kilometre, TL3 regions". OECD Regions at a Glance 2013. 2013. doi:10.1787/reg_glance-2013-graph37-en. Retrieved February 11, 2014. ^ a b "Seoul's Population Drops Below 10 Million for First Time in 25 Years". Chosun Ilbo. February 14, 2014. Retrieved February 16, 2014. ^ "Seoul Statistics (Population)". Seoul Metropolitan Government. Retrieved March 3, 2013. ^ "1.76 million foreigners live in South Korea; 3.4% of population". November 17, 2017. ^ "Korean Chinese account for nearly 70% of foreigners in Seoul". The Korea Times. September 11, 2011. Retrieved February 11, 2014. ^ "South Korean mega-churches. For God and country". Economist. October 15, 2011. Retrieved February 11, 2014. ^ Yim, Seok-hui. "Geographical Features of Social Polarization in Seoul, South Korea" (PDF). In Mizuuchi, Toshio (ed.). Representing Local Places and Raising Voices from Below. Osaka City University. p. 34. ^ Industrial Policy and Territorial Development: Lessons from Korea. OECD Development Center. May 16, 2012. p. 58. ISBN 9789264173897. ^ "Worldwide Centers of Commerce Index™" (PDF). MasterCard. Retrieved February 13, 2014. ^ "The Global Financial Centres Index 12" (PDF). 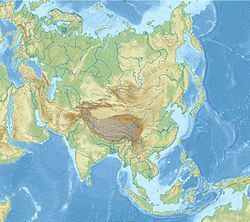 Z/Yen Group. 2012. Archived from the original (PDF) on March 23, 2014. Retrieved February 11, 2014. ^ "Hot Spots 2025: Benchmarking the Future Competitiveness of Cities" (PDF). The Economist Intelligence Unit. 2013. Retrieved February 13, 2014. ^ a b c "Seoul: Economy". Encyclopædia Britannica. Retrieved February 13, 2014. ^ "The primacy of Seoul and the capital region". United Nations University. Retrieved February 13, 2014. ^ "It's official: Jinro soju is the world's best-selling liquor". CNN Travel. June 12, 2012. Retrieved April 29, 2013. ^ "Fiery food, boring beer". The Economist. November 24, 2012. Retrieved April 24, 2013. ^ "Neon shines brightly during the bustle on Yeouido stock street". Korea JoongAng Daily. January 5, 2010. Retrieved February 13, 2014. ^ "Dongdaemun Market". Visit Seoul. Archived from the original on February 22, 2014. Retrieved February 11, 2014. ^ "Myeong-dong". Korea Tourism Organization. Retrieved February 11, 2014. ^ 서울공식여행가이드. Visit Seoul Net. Archived from the original on February 14, 2016. Retrieved May 16, 2018. ^ "Insa-dong". Korea Tourism Organization. Retrieved February 11, 2014. ^ "Hwanghak-dong Flea Market". Korea Tourism Organization. Retrieved February 12, 2014. ^ "Antique Markets". Seoul Matropolitan Government. Archived from the original on October 8, 2010. Retrieved February 12, 2014. ^ a b "Itaewon: Going Gangnam Style?". The Korea Times. February 14, 2013. Retrieved February 12, 2014. ^ "Yongsan Electronics Market, Asia's largest IT shopping mall". KBS World. March 1, 2011. Retrieved February 12, 2014. ^ "Largest Permanent 35mm Cinema Screen". Guinnessworldrecords.com. August 18, 2009. Retrieved August 7, 2013. ^ "50 reasons why Seoul is world's greatest city". July 12, 2017. ^ "KOREA: Future is now for Korean info-tech". AsiaMedia. Regents of the University of California. June 14, 2005. Archived from the original on December 16, 2008. ^ "Tech capitals of the world – Technology". The Age. Melbourne, Australia. June 18, 2007. ^ "Hi Seoul, SOUL OF ASIA – Seoul Located In the Center of Asian Metropolises". English.seoul.go.kr. Archived from the original on July 10, 2012. Retrieved August 7, 2013. ^ "Seoul's Cheonggyecheon Stream symbolizes Korea's past, present and tomorrow". Korea.net. Retrieved February 12, 2014. ^ Andrei Lankov (June 24, 2010). "Jongno walk". The Korea Times. Retrieved February 12, 2014. ^ "Amsa-dong Prehistoric Settlement Site". Korea Tourism Organization. Retrieved February 12, 2014. ^ "About the Palace". Gyeongbokgung Palace. Archived from the original on June 14, 2008. Retrieved February 12, 2014. ^ "Sungnyemun to open to great fanfare after more than five years of renovation". The Korea Herald. April 30, 2013. Retrieved May 1, 2013. ^ "The Seoul of World Design". Bloomberg Businessweek. February 27, 2008. Retrieved February 12, 2014. ^ "Status of Museum". Seoul Metropolitan Government. Retrieved September 18, 2014. ^ "Seoul's best museums". CNN. October 27, 2011. Retrieved June 2, 2013. ^ "National Folk Museum of Korea". Korea Tourism Organization. Retrieved September 18, 2014. ^ "Namsangol Hanok Village". Korea Tourism Organization. Retrieved September 18, 2014. ^ "Bukchon Hanok Village". Korea Tourism Organization. Retrieved September 18, 2014. ^ "Seoul: 10 Things to Do". Time magazine. Retrieved September 18, 2014. ^ "The War Memorial of Korea". Korea Tourism Organization. Retrieved September 18, 2014. ^ "Seodaemun Prison History Museum". Korea Tourism Organization. Retrieved September 18, 2014. ^ "ABU TV and Radio Song Festivals 2012". ESCKAZ.com. Retrieved August 17, 2012. ^ "ABU GA Seoul 2012". Asia-Pacific Broadcasting Union. Retrieved August 17, 2012. ^ 2016 프로야구와 프로축구는 모두‘서울의 봄’ (in Korean). Medeaus Ilbo. November 7, 2016. Retrieved November 7, 2016. ^ "QS Best Student Cities 2018". Quacquarelli Symonds Limited. Retrieved December 4, 2018. ^ a b c d e f g h i j k l m n o p q r s t u v w x "Seoul – Sister Cities". Seoul Metropolitan Government. Retrieved September 5, 2018.